Construction documentation is a collective term for drawings that are a part of production information. This is then incorporated into tender documents and further into contract documents. 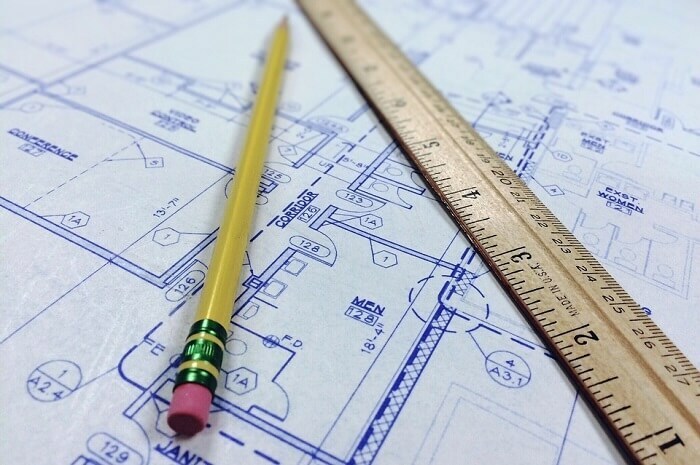 Architecture drawing plans serve two critical functions – one, for applying and receiving building permits and two, for actually constructing the building. Essentially, the main purpose of construction drawings is providing a graphical representation of what kind of structure will be constructed. The documents created during the construction document phase comprise of 6 essential drawings. Let’s discuss them. 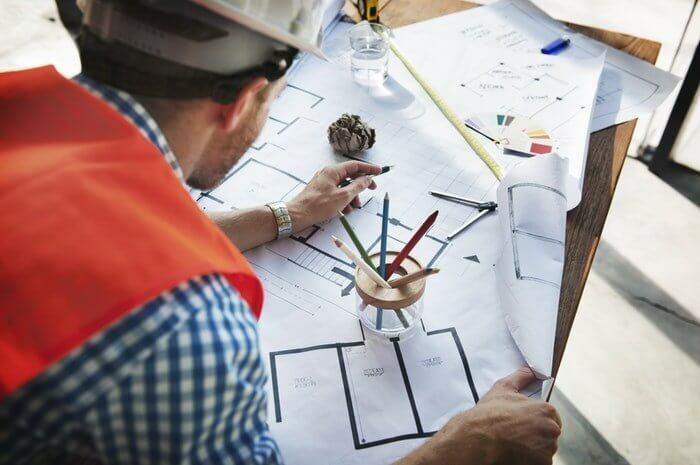 While all these drawings are essential, which ones you will use in your construction documentation set depends on the scope of the project you’re working on. These drawings are either built-to-scale or in elevation, section or plan view. All of them follow identical architectural standards which allow them to be deciphered and interpreted. Floor Plans, Elevations, detailed and section drawings comprise of major architectural documents to represent a building entirely. You can expect the following types of drawing for building design. Typical to all projects, plans are diagrams drawn to scale for showing the arrangement and structure of a building. Most documents include a site plan, floor plan, roof plan and ceiling plan. Site Plan: These are large-scale drawings which show the entire extent of the site for development. These are essential for planning applications. Floor Plan: Imagine a horizontal view from above the building which shows a layout of the rooms inside. These comprise of floor plans. Location Plan: A supporting document, location plan forms a part of a planning application. It provides an illustration of the building in context with the surroundings. Ceiling Plan: Ceiling plans indicate the change in ceiling level, installation of moulding structures and attachment of light fixtures. Elevations are orthographic projections of the interior and exterior faces of a building. Elevation drawings are first angle projections which display all components of a building as seen from one side; with the rest flattened. An exterior elevation indicates floor to floor height, overall building height, exterior wall openings such as doors or windows and the different materials used on the outside. Interior elevations, on the other hand, show the details of a particular room and its walls. They indicate the overall height of the room, wall openings including doors and windows, finish and wardrobe & cabinetry. Elevations are essential, in the sense that they give you the right perspective of how your house will look from any side and they add great value in convincing your clients to take up your services. Even more so when you get your elevations plans designed by us. We’ve got great ideas and expert detailers. Just as a plan shows the horizontal representation of a property, building section drawing cuts vertically through the house and shows the different sections the rooms are cut through. The main purpose of section drawing is to show the building structure, vertical dimensions and materials of foundations footings to the rooftop. So far, all the drawings which have been discussed are large scale. However, once you get the idea of how the overall construction is going to be, the focus zooms to specific areas of the building and the type of materials which are going to be used to construct them. These comprise the exterior and interior details. These document sets are created from a vertical or a horizontal cut or elevation of the house. Not to brag, but BluEntCAD’s experts are the champs of interior and exterior detailing. We can add beautiful textures and finishes so that you get closer to your dream house. As soon as you figure out how the rooms are arranged inside a house, you would want to focus on how they look like. And a schedule does just that. The schedule comprises all information about a material or a product in a single place. For instance, if you have a multiple level building with different doors, a door schedule will tell you the total number of doors, their types, their location and the materials they’re created with. Schedules are not limited to doors and windows only. They can include plumbing fixtures, room finishes, cabinetry and appliances. 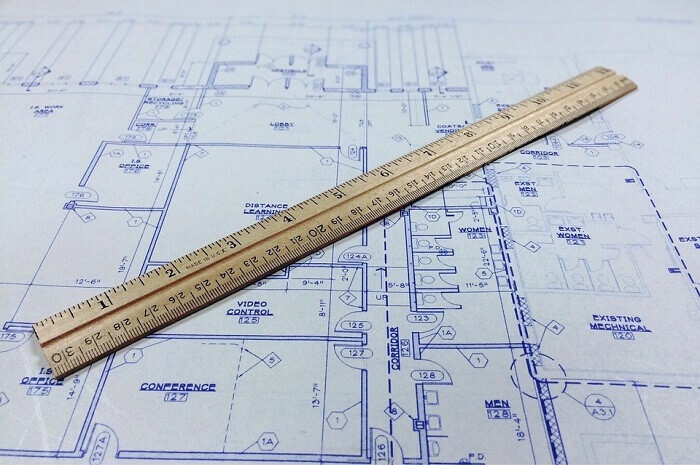 Framing plans are structural drawings and comprise a part of residential construction documents. They indicate the roof frame and flooring members of your house. With the help of framing plans, the builder is able to see the size of the material and the location of weight acting on the framing members. 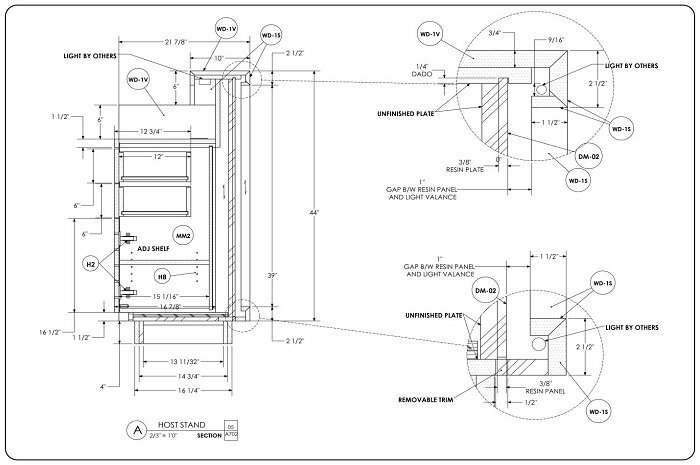 Utility plans illustrate the location of all MEP fixtures inside your building. They are an integral component of any building or. Apart from this, there are several other drawing sets which are of essence to house architectural drawings. It is common for any building project to undergo changes during the construction phase. As built drawings reflect what has actually been created. The final changes are marked in red by the contractor and these are then used to create record drawings which show the completed project. As the name suggests, assembly drawings show how multiple components fit together to create a single unit. 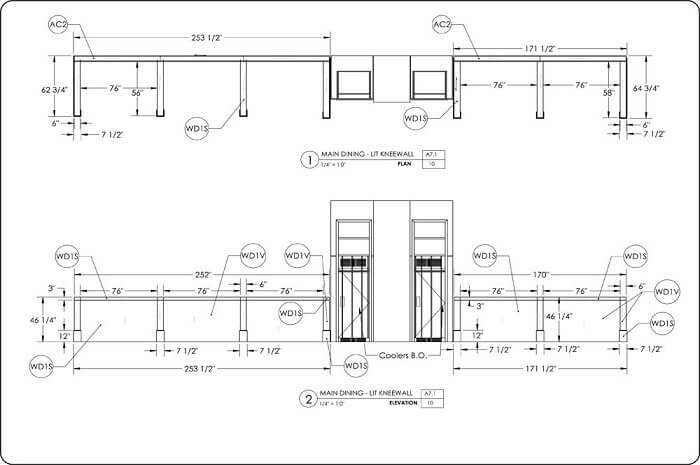 Orthogonal plans, elevations, sections or three-dimensional views often include assembly drawings. 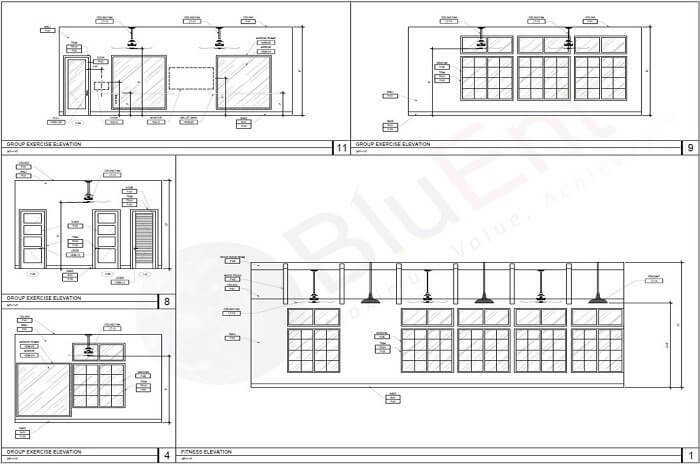 Electrical or wiring diagrams are technical drawings which convey how electrical systems are going to be installed. They have a visual representation of a circuit or an electrical system. Prepared by contractors, suppliers, manufacturers or fabricators, shop drawings are indicative of how pre-fabricated components should be manufactured, assembled and installed. These are usually designed after consulting design intent drawings and specifications. Well, there you go. You have all major components which are needed for a residential building project. All this information is detailed inside construction drawings so that general contractors have everything they need to build your house. So how do you ensure that these drawings are kept intact before, after and during the construction? Well, all drawings reference back and forth to ensure that nothing gets lost. Floor plans have an indicative marking where a section cut is made and this is also present on exterior elevation drawings. Building section drawings have clear markers which highlight where a wall section or detail is located. Framing plans have symbols for each individual beam used which redirects contractors to beam schedule; showing all beams in the project. 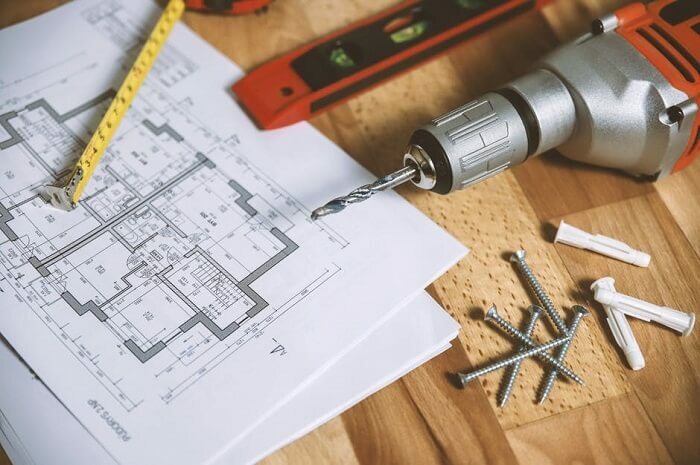 Take help of construction documentation experts like BluEntCAD who are well-versed with AEC industry jargon to read and interpret your building plans and documents.